This info doesn't apply to changing the password used to connect to your Router via Wi-Fi. The admin password is used to sign in to the router's web interface to manage advanced settings (e.g. network name, network password, etc.). 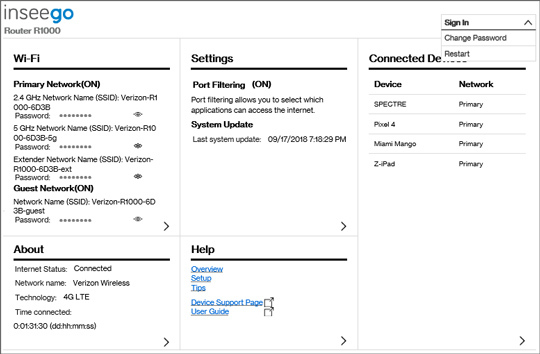 You must be connected to the Verizon 5G Home network to access the admin page. From the Router Home screen, click the Dropdown arrow (upper-right) then click Change Password. The password must be 8-32 characters. 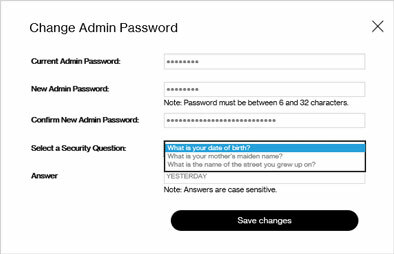 Select the appropriate security question and enter the desired answers then click Save changes.